Following the 1975 kayak expedition to the North Cape of Norway, two members of the team decided to attempt another challenging expedition. Two others were invited to join, including Frank Goodman, the designer of the Nordkapp kayak. From what was initially intended as a flippant suggestion, exploring the area of the Magellan Straits and rounding Cape Horn soon emerged as the preferred option and plans began to be formulated for an expedition in 1977. The choice of boat was the same as for the North Cape expedition: Goodman’s Nordkapp design with which all members of the team were familiar. It would be necessary to be entirely self-sufficient for up to around a month, to allow for weather induced delays, with little realistic prospect of external rescue should that become necessary, though radios would be carried to seek help if required. In the event the limited transmission range of the sets carried and the mountainous terrain meant that no meaningful contact was made. A number of practical problems emerged at various stages: one member of the team dropped out and a replacement was invited to join, the charts of the area were only intended for use in deep water channels by large ships and provided little detail for small craft, two of the boats were damaged in transit from the UK and one had to be repaired of a serious twist in its hull by heating it over a campfire and straightening by lodging one end in a tree and manually reversing the twist! 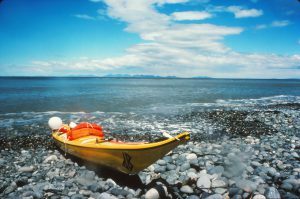 Frank Goodman identifies the essence of sea canoeing as Tides/Weather/Landing places/Escape routes. In the event three of these proved of little concern; the exception was the weather where the team found that dramatic changes in conditions could occur in very short order without any warning from obvious indicators such as cloud cover or direction. Gale force winds in fact delayed the attempt on the Horn itself but in the end the team took advantage of a lull in the wind to make the attempt. In the event, despite a rough rounding, they made it with little over an hour to spare before another full gale was blowing. 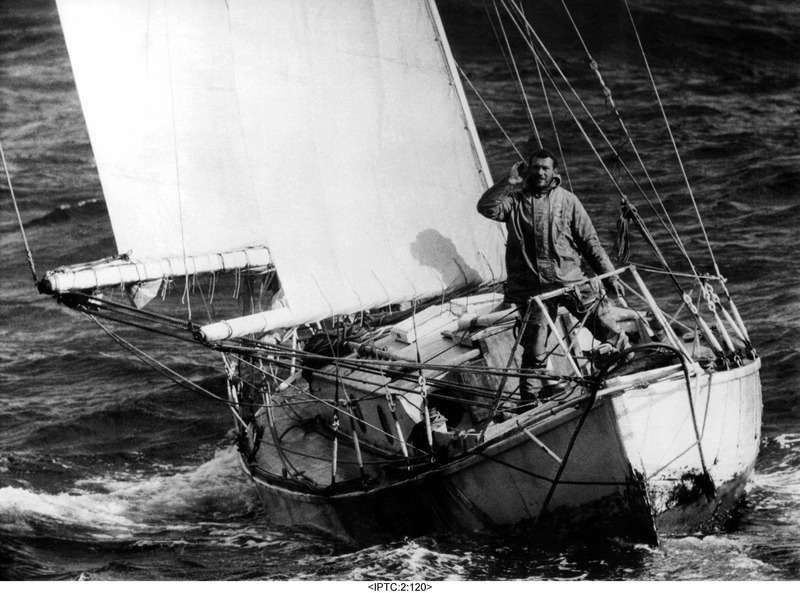 In total the expedition took 17 days in December 1977 and was successfully completed. Despite careful preparation and all members of the team being experienced expedition kayakers, all credited good luck as a major factor in final success.